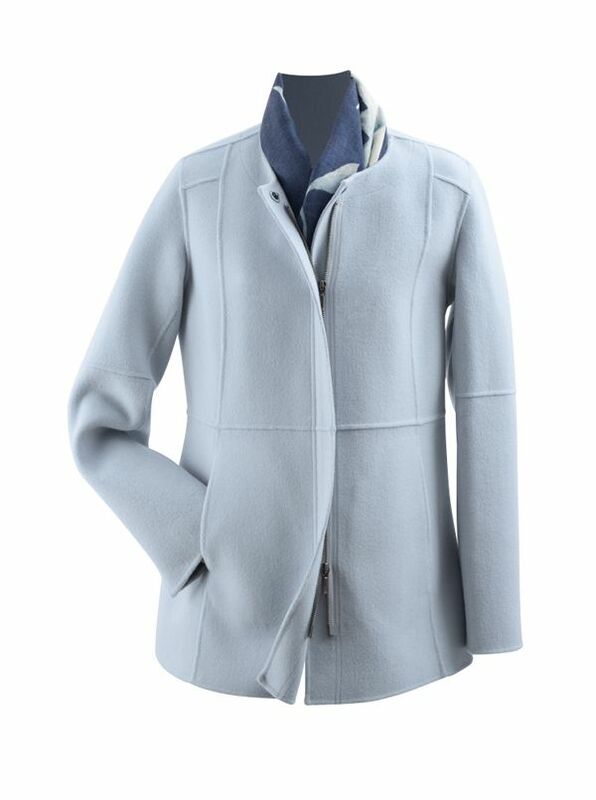 Arctic Blue Zip Jacket is a cool color in a cozy coat of 70% wool/30% cashmere. With tonal welted seams, two pockets, zip front with snap-over placket, stand-up collar, open cuffs. Imported.